Trident Compressed Air Ltd. supplies quality OEM and after-market compressor parts and accessories. Our parts department carries an extensive inventory of air compressor, compressed air dryer and breathing air system parts and accessories for most makes and models of compressors, dryers and more. Backed by a nationwide network of suppliers, if we don’t have your part in stock we can have it rushed to you in minimal time. Users throughout the Americas have discovered that Trident understands and responds to their individual parts needs! Our distribution facility in Maidstone (Windsor) Ontario is always well stocked and our dedicated staff are ready to serve you. When ordering any parts, it is important to have all of the necessary information available. Please be sure to include the make, model and serial number of your equipment with your parts inquiry. CHECK OUT OUR ONLINE PARTS FORM! Trident stocks thousands of parts and hard to find components for air compressors and compressed air system equipment. 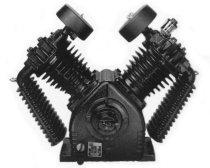 Parts are available for most manufacturers’ compressors and equipment. The most common replacement parts are available right from stock, ready to ship. Scheduled maintenance keeps your compressed air system reliable and helps keep your system running smoothly and cost-effectively. 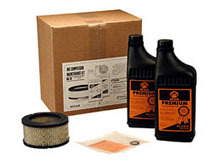 Trident stocks maintenance kits for many manufacturers’ compressors. If you are looking for a cost effective solution to replacing your compressor package, replacement bare pumps may be a viable option. 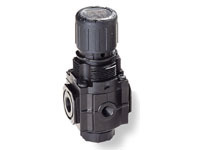 These pumps carry a full manufacturers warranty and are available for many different makes and models. Several different horsepower ranges are available right from stock. 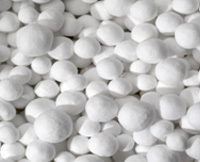 Trident can meet your desiccant needs with bead activated alumina, deliquescent briquettes, silica gel beads and molecular sieve desiccants. 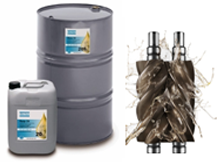 A complete line of quality lubricants and coolants are available for all makes of rotary and piston compressors.